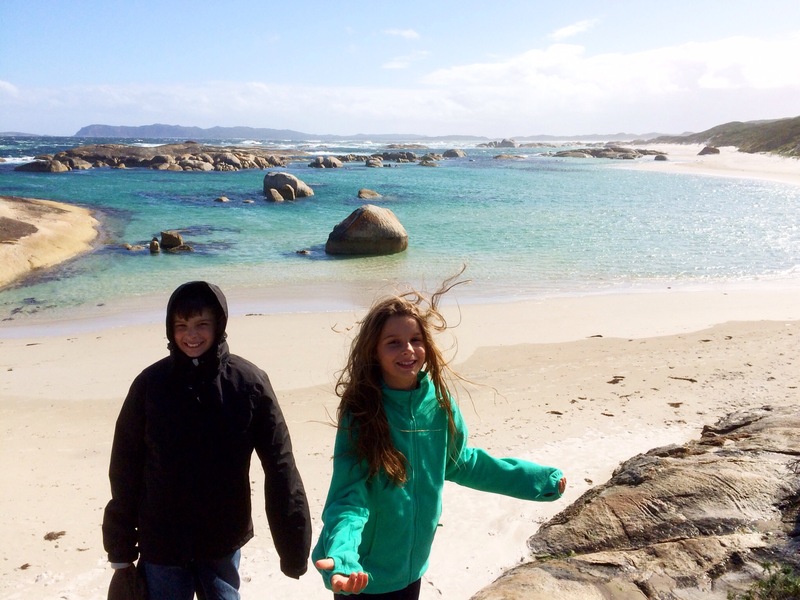 Today we keep heading along the south coast of WA towards Albany. 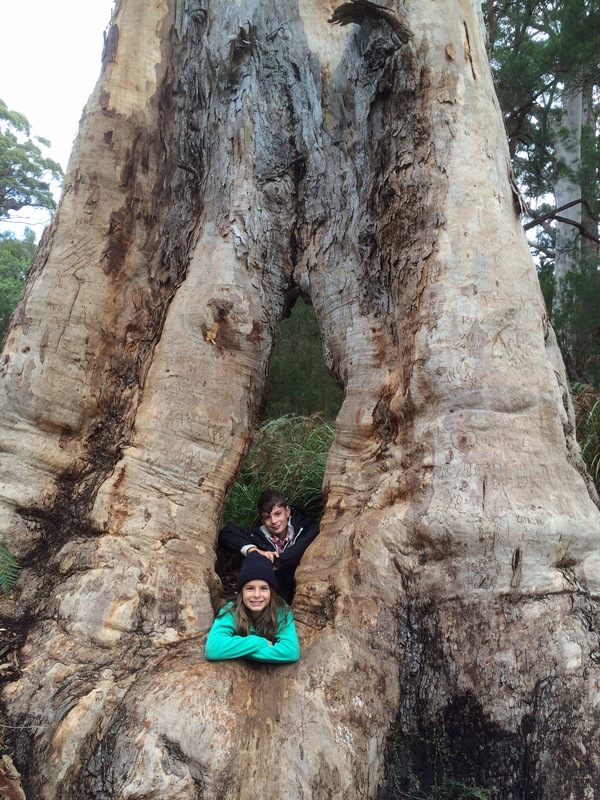 First thing is to check out some big trees for which this area is famous for. And my, are there some big tree around here. 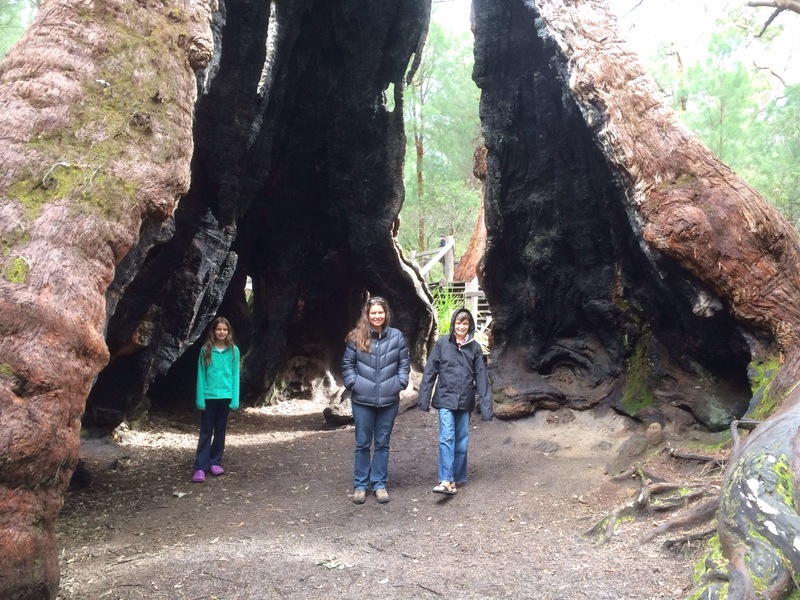 In the Walpole-Noralup National Park we check out the giant tingle trees. 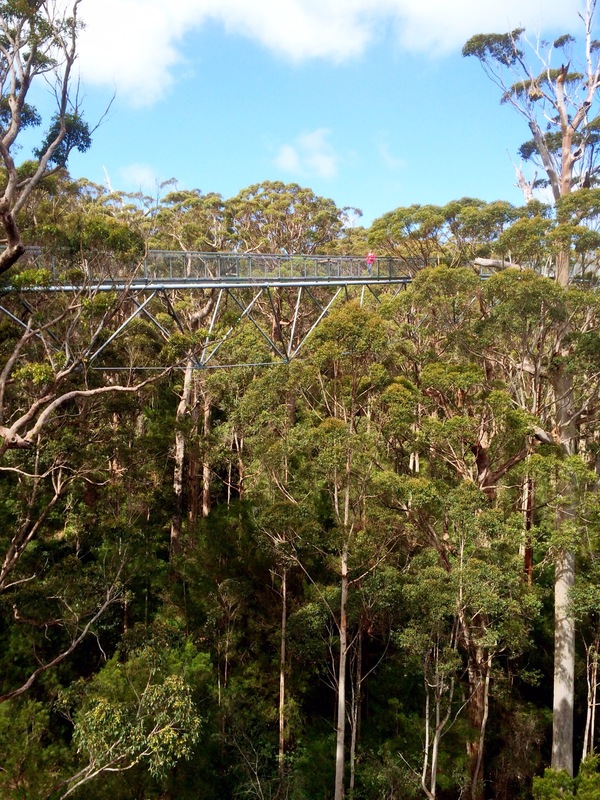 And a bit further up the road we do the tree top walk through the tingle-karri forest. It sways as you walk which is sort of cool. 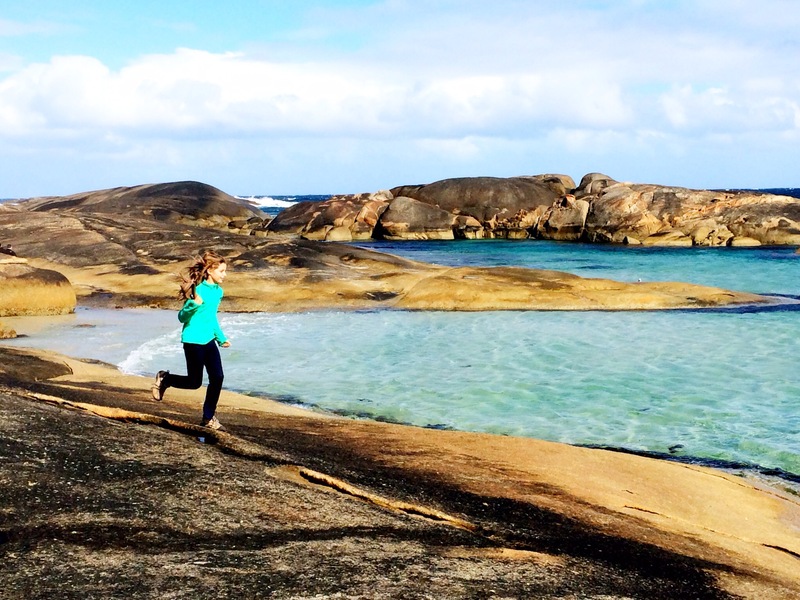 The road takes us past various beaches and blowholes. Unfortunately there is not enough time to look at them all! But we check out Green Pools. It too cold and windy to swim but it’s a pretty spot. Granite boulders in the crystal clear water. 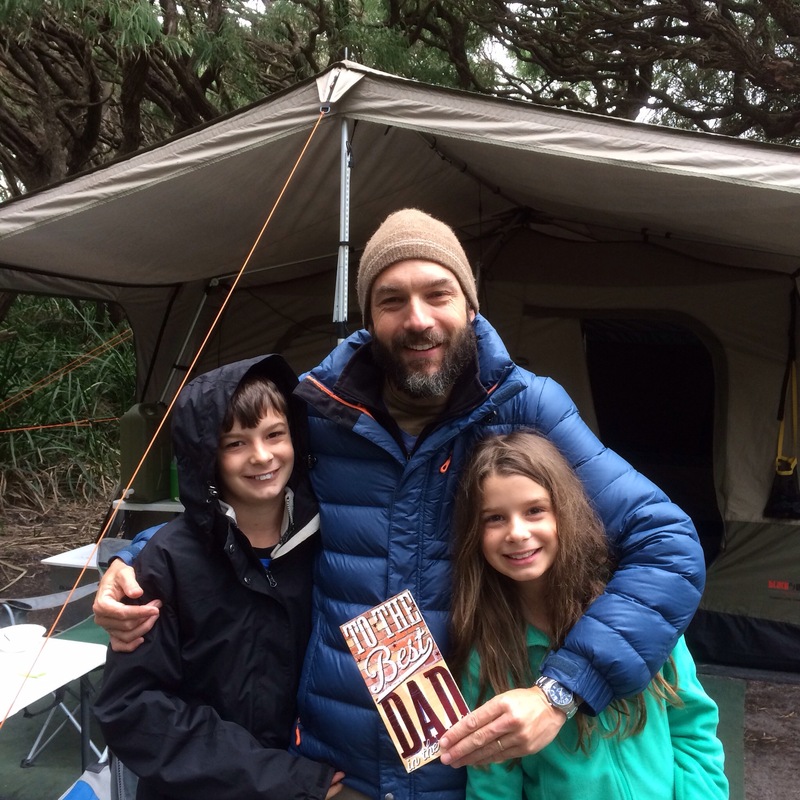 We need to recover the costs of staying in the cabin by staying in a free camp for a few nights. 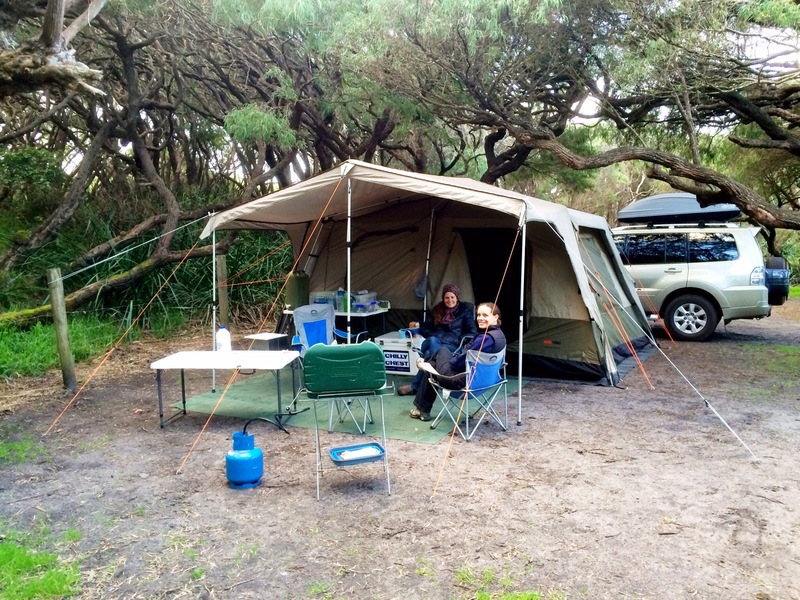 So we go to ‘Cosy Corner’ campground west of Albany. It’s another great spot, right next to the beach. And we get to catch up with Julie and the boys there as well. Max and Oscar are into medieval and knights and our kids get into it. Much time is spent on the beach in pitched battle and on quests. This is home for three nights. And one of the nights we have dinner together with Julie and the boys which is really nice. Sunday morning here is Father’s Day. I didn’t realise it until I was handed a card. Thanks kids. We then head into Albany and go to Albany Baptist Church. There’s a message there on the verse ‘For Christ also suffered once for sins, the righteous for the unrighteous, to bring us to God’ 1 Peter 3:18. We’ve noticed a pattern on our travels. With every church we’ve visited we’ve always heard from the assistant minister or visiting preachers. The lead pastor has always been away on holidays. Dodgy church ministers always on holidays! We then do various things in Albany. 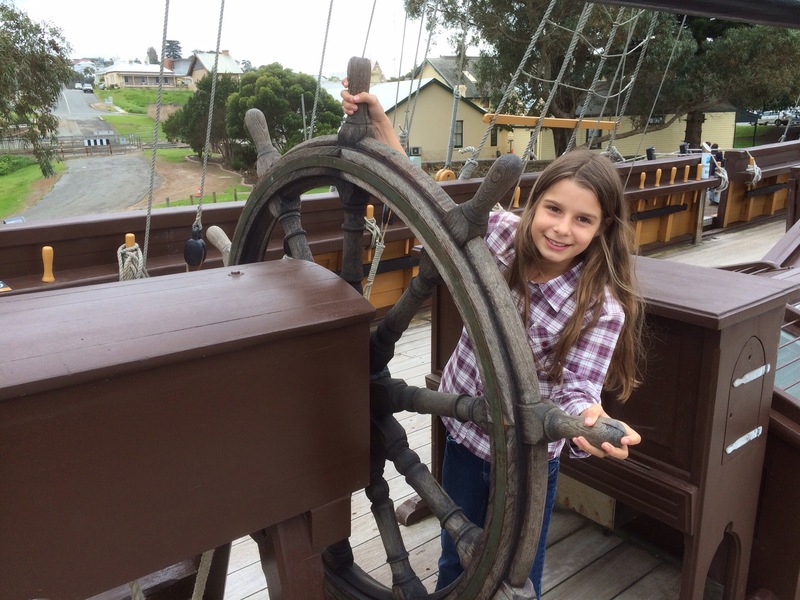 We visit the replica Brig Amity which brought European settlers to this area. 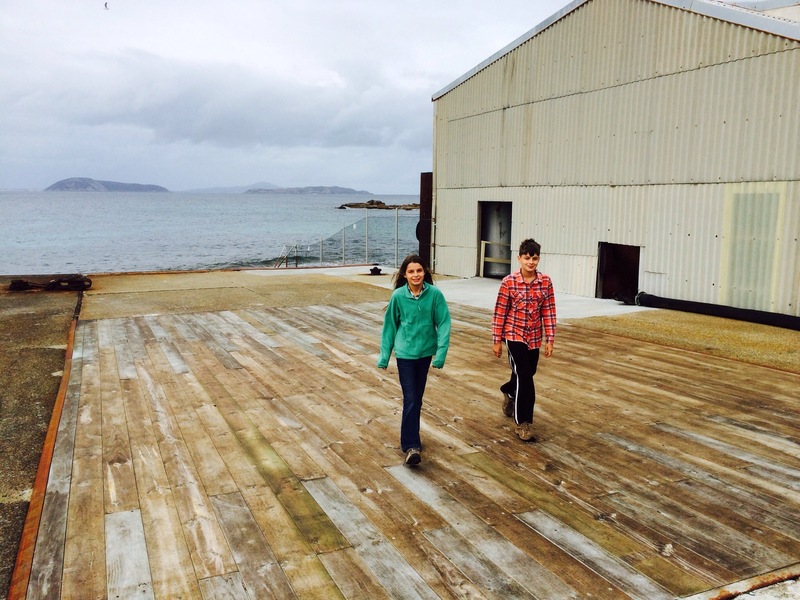 We go to the old Whaling Station which is now a museum. 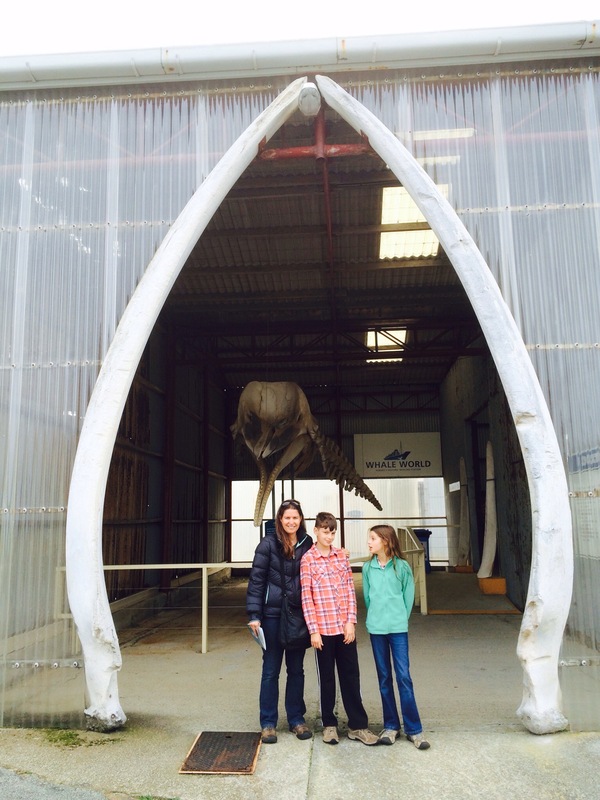 This is the jaw bone of a blue whale. This is the flencing deck where the whales were sliced up. You wouldn’t get much blubber off these two. 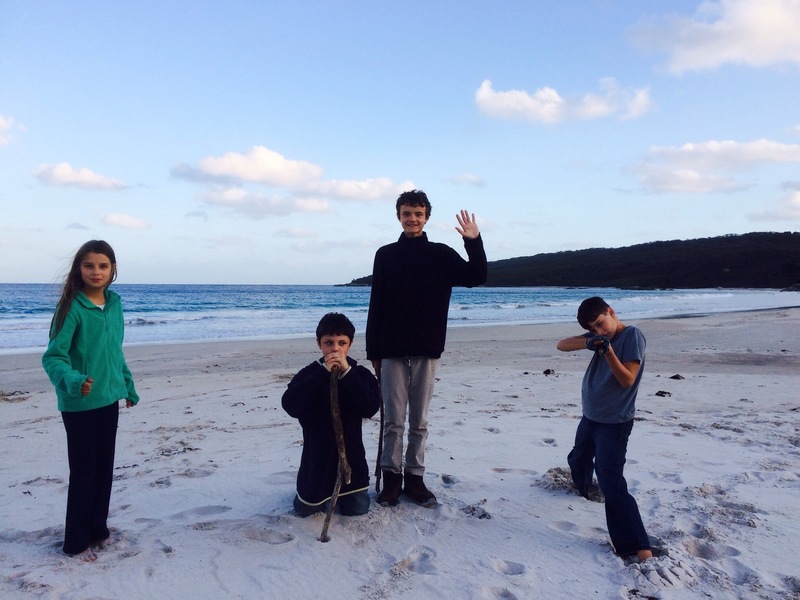 While we’re at Albany the kids always just want to get back to camp so they can play with the boys on the beach. 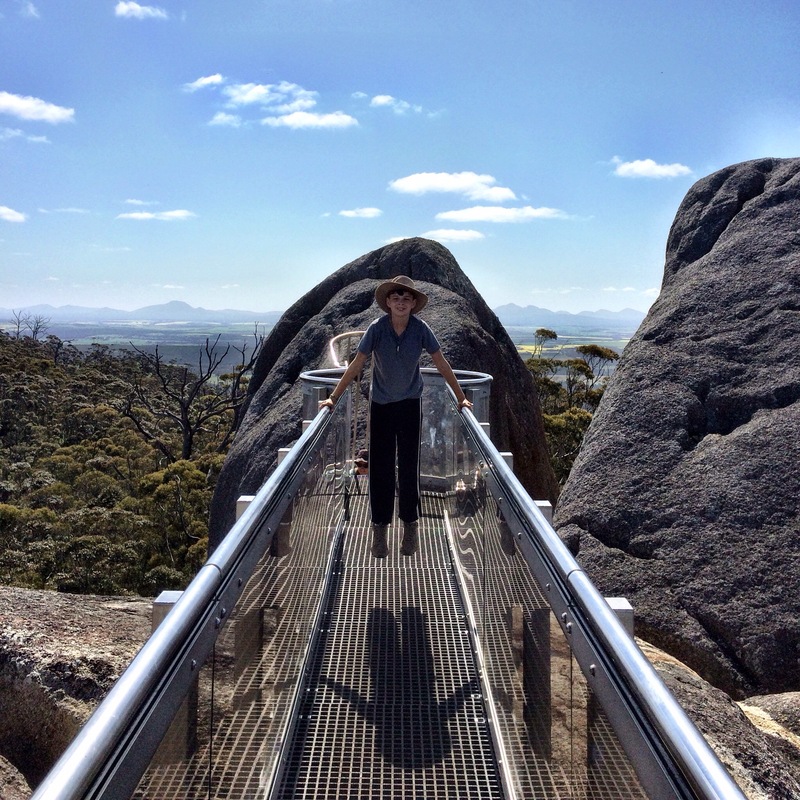 But on our second day here we head up to Porongurrup National Park and do the granite skywalk. 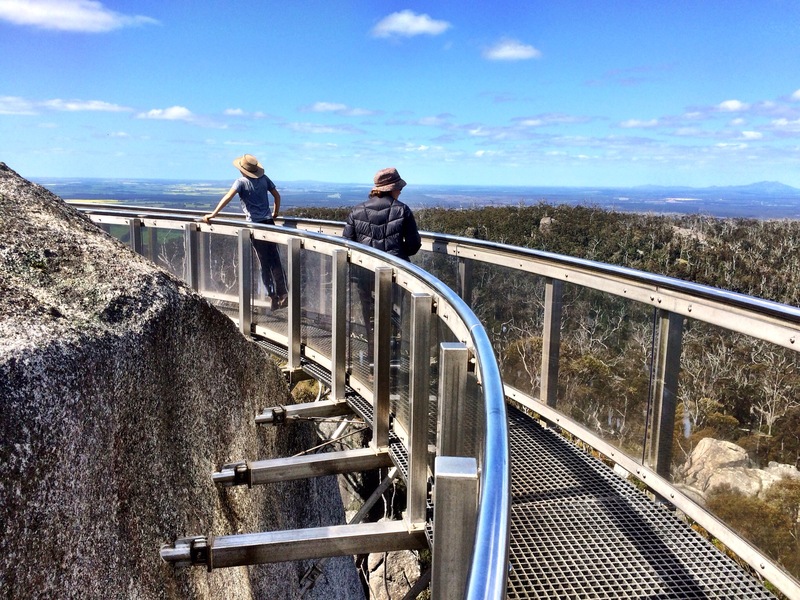 It hangs off the edge of a boulder with a huge drop below. For the 2 hour walk there and back the total conversation with our kids is Minecraft. Kirsty and I ask questions and the kids are eager to fill us in on what it’s all about. They love us showing such an interest in something that’s a total mystery to us. There’s talk of being given a quiz at the end. 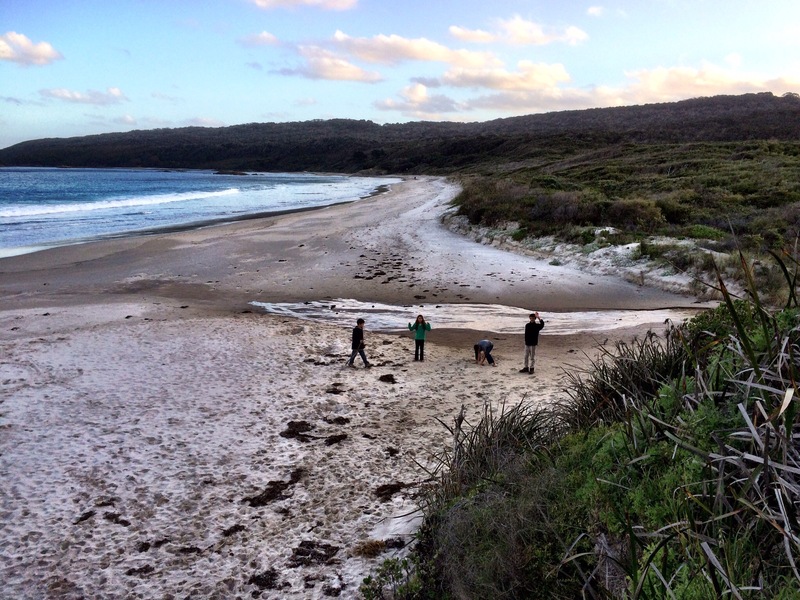 We get back to the campground so the kids can play on the beach and we have a cuppa with Julie. 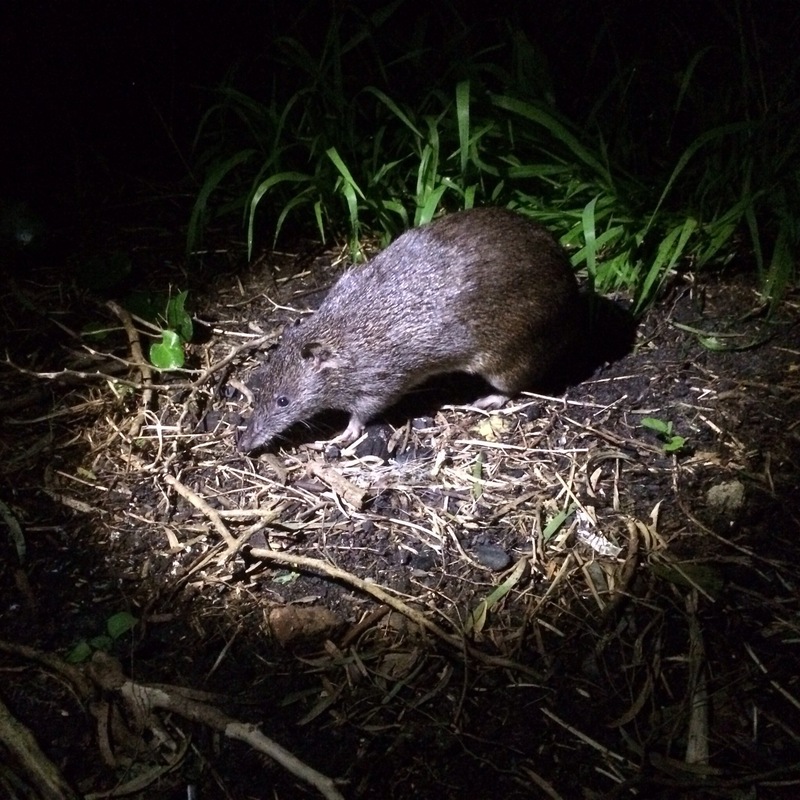 Tonight we get another visitor from a ‘Quenda’ which is a type of bandicoot. You are certainly having a Grand Adventure. We are following you all as you continue your travels in WA. Lots of love.. Take care.. Special hug for Noah and Amelia.